Most plaintiff attorneys involved in police dog bite lawsuits eventually come to learn about the potentially dangerous nature of police service dogs used for suspect apprehension. In other posts on this website, I have written about the dangerous nature of these kind of dogs. Rarely however has a video surfaced on the Internet showing a police dog bite attack. I found one such video showing a police dog attacking an innocent bystander. In this instance, the victim was a child who was attacked by a leashed police dog in Virginia Beach, Virginia in 2015. 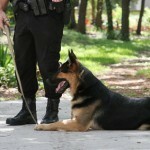 It is apparent that the dog’s handler had difficulty in controlling his supposedly trusted K-9 partner. It appears that the dog was a Belgian Melinois. View the video here. 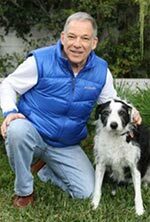 Richard Polsky, PhD is a California based dog bite expert specializing in the forensics and reconstruction of police dog bite attacks in personal injury lawsuits. He is available for consultation and expert witness assignments for plaintiff attorneys nationwide.